At Empire Pools and Hot Tubs, we love what we do and have the personnel and expertise to ensure you go home with a pool, hot tub, grill, or patio piece that make your backyard a relaxing getaway. But our customer service goes beyond the register, we help install, repair and maintain your purchase long after it leaves our store. Our dedicated and committed staff have been working with us for years; they will get to know you, your pool or hot tub, and help you year after year so you don’t have to worry about much – other than enjoying outdoor fun with your hot tub, swimming pool, beautiful furniture and barbeque grill. Here are some of the names you will find in our showroom. 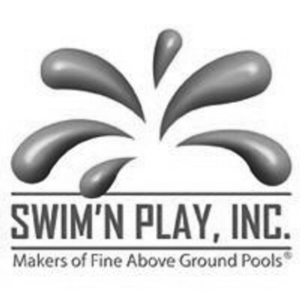 Not having any knowledge about pools or pool companies we recently put in an above ground pool using another company. I only wish I had met the folks at Empire first! Kind, very knowledgeable, helpful and courteous. I will take all of my future business to Empire. At Empire Pools and Hot Tubs, we want you to keep your pools and hot tubs clean and healthy. Our team is skilled at proper pool and hot tub water testing, using our water analysis system. Our goal is to ensure your water is safe and clean, meaning that we will take extra steps to ensure your water stays compliant with today’s standards. We also offer strips, so you can test your own water at home. We offer free water testing to ensure your swimming pool or hot tub is always ready to enjoy. From pool and hot tub openings and closings; to liner installations, hot tub repairs and water treatment, Empire Pools is your one stop for pool and hot tub expertise.